Another Quebec town is slamming the brakes on future cryptocurrency mining operations as concerns grow about the demands they are placing on Quebec's supply of low-cost electricity. Elected officials in Magog, about 120 kilometres east of Montreal, voted Tuesday to withhold approval for any future mining ventures. Two companies — Bitfarms and BitLinksys — are expected to open operations shortly in former factory buildings in Magog. Together they will use about 20 megawatts of electricity per day. By way of comparison, Hydro-Québec says operating Montreal's Bell Centre uses five megawatts per day. In order to accommodate the higher electricity demands of the bitcoin miners, Magog is seeking Hydro-Québec's help to upgrade its power grid. The municipality wants to spare the rest of its excess energy supply for companies in different sectors of the economy. "We have practically reached the maximum power for the energy block that Hydro-Québec supplies us," said Mayor Vicki-May Hamm. Magog joins the 21 municipalities of the Brome-Missisquoi regional council which have already imposed a moratorium on future cryptocurrency mining operations. Last month, the Brome-Missisquoi council approved a three-month ban that prohibits the creation and expansion of digital currency mining businesses across the region. Cryptocurrency mining requires high-powered computers operating continuously as they seek to solve complex math equations. When a computer solves a problem, it earns bitcoin or other cryptocurrency. The computers need to be kept cool, so mining operations are extremely energy intensive. Quebec's cheap hydroelectricity rates — among the lowest in North America — make the province an attractive place for these companies to do business. The amount of energy needed to power these operations has given pause to both Hydro-Québec and the Quebec government. 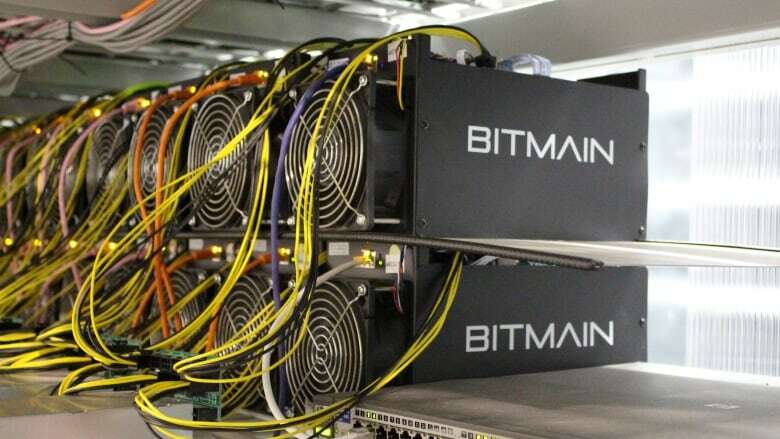 The utility has acknowledged it is being flooded with requests from cryptocurrency miners. If each application was accepted, Hydro-Québec said, roughly 25 per cent of the province's energy would be going to currency mining. Hydro-Québec is currently conducting an analysis of the industry and has floated the possibility of charging cryptocurrency mining operations higher rates, as well as forcing them to reduce their activity during peak periods of energy use. "We will announce new rules shortly to make sure we can develop the cryptocurrency industry correctly in Quebec without putting at risk our energy supply and without having to raise the rates of our customers," said Marc-Antoine Pouliot, a spokesperson for the energy utility. Another major concern about currency mining is that it produces few jobs for the amount of energy required. "Cryptocurrency mining is not a very big job creator," said Pouliot. "The analysis we have shows that cryptocurrency projects will create less than one job per megawatt." "That's pretty low if you compare it with data centres, if you compare it with the aluminum industry or other huge consumers." But some Quebec municipalities are embracing the fledging industry. Sherbrooke, for instance, is offering Bitfarms bulk rates on energy as part of the company's $250-million investment in the community. Bitfarms predicts its investment will generate 250 jobs for the Sherbrooke area.